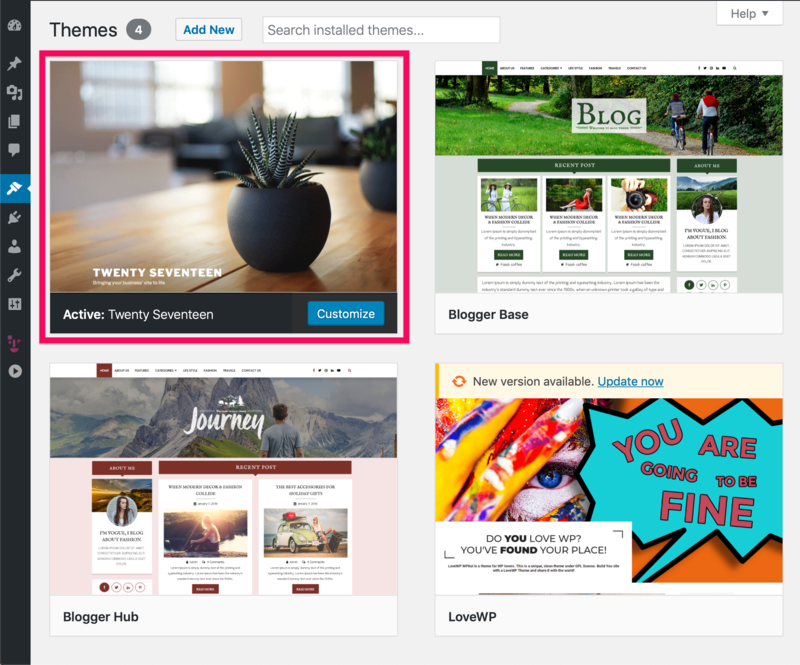 If you can not acces your WordPress, booting WordPress in Safe mode helps you to investigate issue. 3. 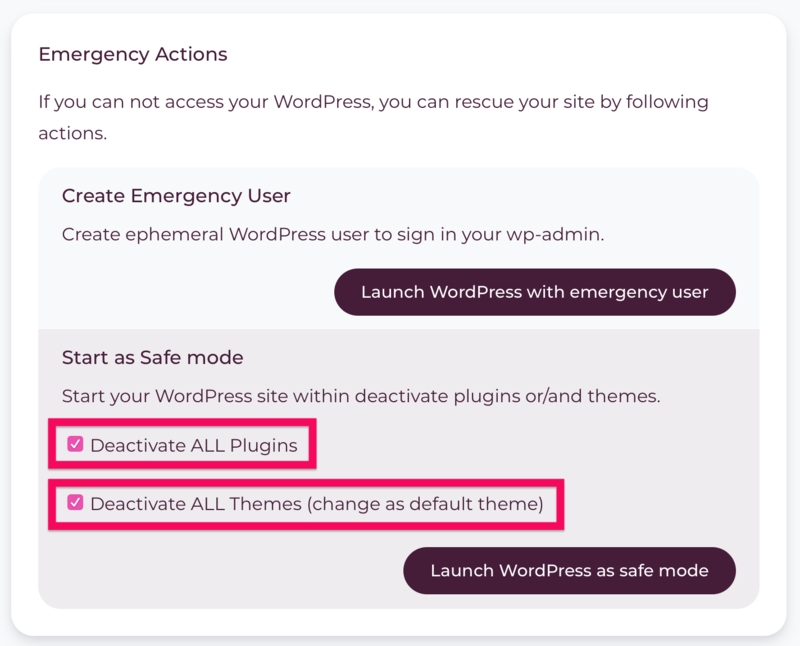 Check type of Safe mode deactivate all plugins and/or changing default theme. 4. 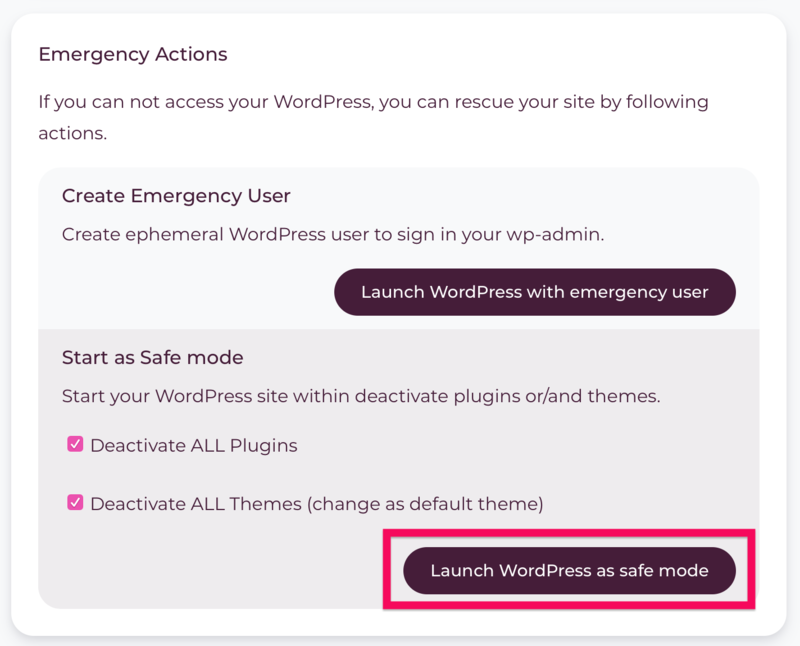 Then click [Launch WordPress as safe mode] button. 5. 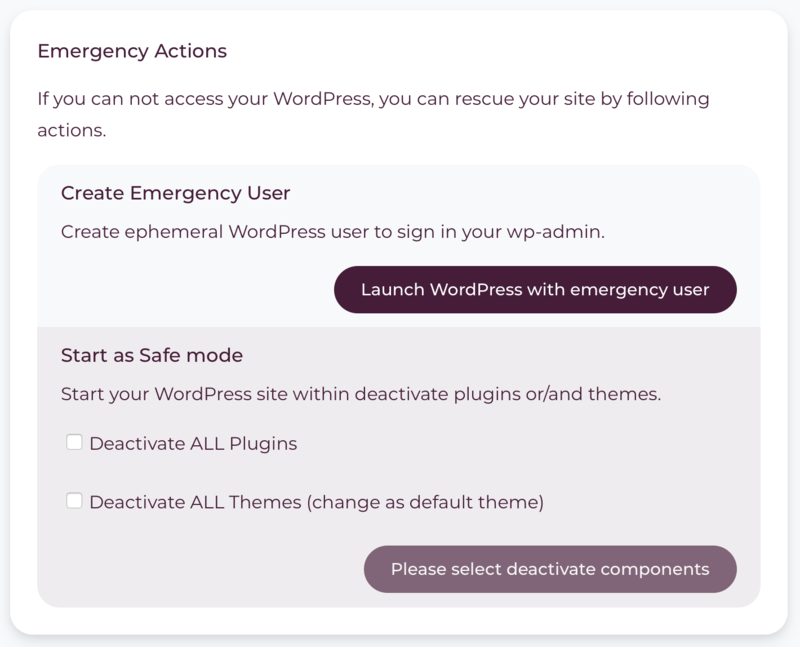 Log in WordPress and check safe mode is working.